A Class K fire is a cooking fire involving combustion from liquids used in food preparation. Grease, cooking oils, vegetable fat, and animal fat are all potential fuel sources for a Class K fire. Extinguishing a Class K fire requires the use of a specialized Class K fire extinguisher. All Florida Fire Equipment works with a number of customers in the foodservice and restaurant industry located throughout the greater Tampa area. The types of fires that occur in the food industry have the potential for causing rapid destruction of property as well as posing a significant risk to workers and customers of your business. The fire codes and insurance regulations governing the food industry and restaurants are complicated and subject to frequent onsite inspections by your local fire marshal. Our engineers will do a complete evaluation of your business and come up with a recommended plan to cover all your fire protection needs for your food business. 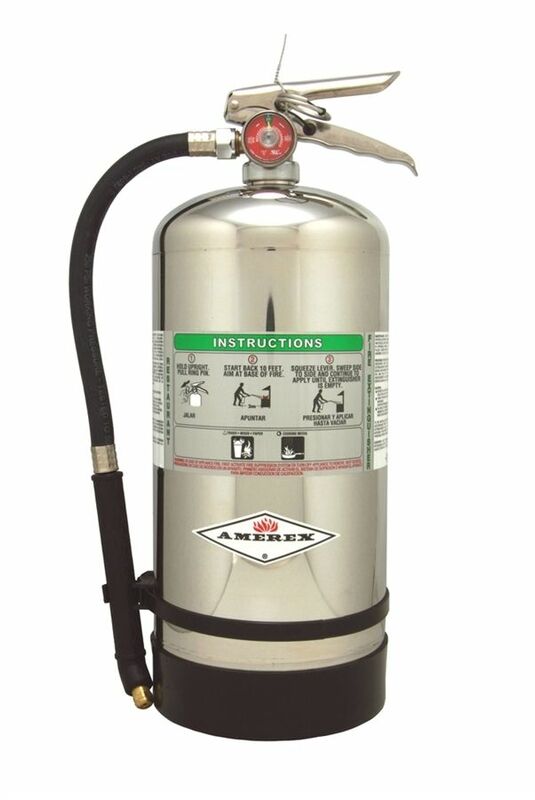 A key component of food service and restaurant fire protection are Class K fire extinguishers, which uses a blend of Potassium Acetate and Potassium Citra, which are particularly effective agents for fighting fires involving combustible cooking fluids like grease. Oftentimes, the fire marshal will require you to have an ABC fire extinguisher alongside your Class K fire extinguisher in order to meet the minimum 2a rating that NFPA 10 has established. Fortunately, All Florida Fire Equipment sells and services just about every type of portable extinguisher there is, and we can cover all your fire protection needs from making the best purchase decision to providing the all the required service and maintenance schedule you need to stay in compliance with local fire codes.